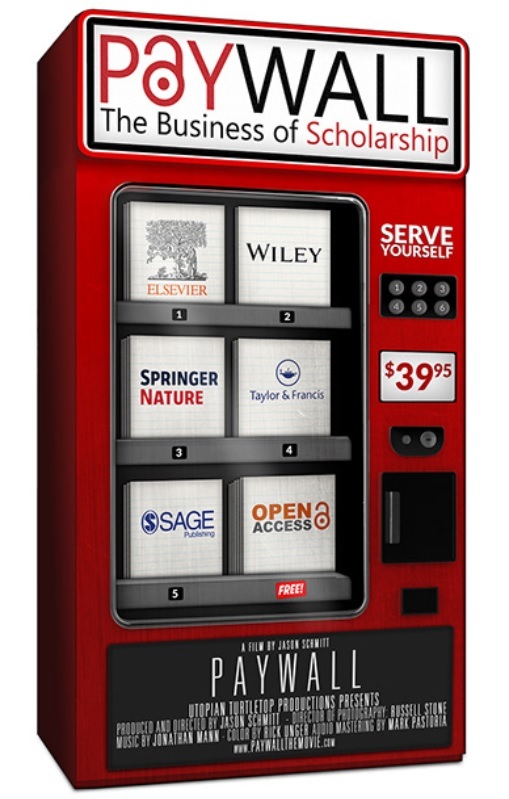 Paywall: The Business of Scholarship is a documentary which focuses on the need for open access to research and science, questions the rationale behind the $25.2 billion a year that flows into for-profit academic publishers, examines the 35-40% profit margin associated with the top academic publisher Elsevier and looks at how that profit margin is often greater than some of the most profitable tech companies like Apple, Facebook and Google. Staying true to the open access model: it is free to stream and download, for private or public use, and maintains the most open CC BY 4.0 Creative Commons designation to ensure anyone regardless of their social, financial or political background will have access. If you are interested in screening this film at your university, please fill out our contact form.